frame that will not break. Material 600 denier, all weather-proof. with check or money orders. 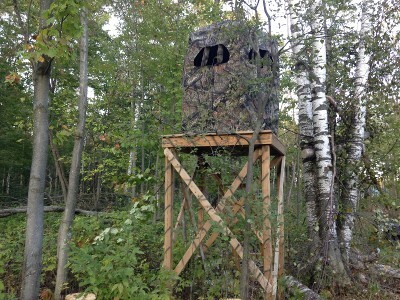 The Blind stands 5" 6" tall, has a 6-foot diameter with 5- 9in x 20in shooting slide rope windows. 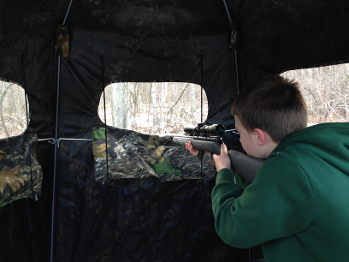 Window height, Bottom shooting window height 39 inches or 40 inches your choice. 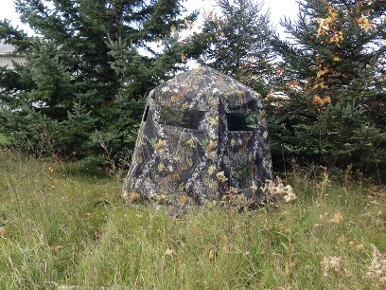 $269.99 per Blind. 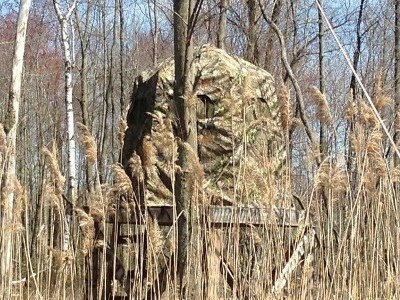 The Blind stands 5'10" tall, has a 6'3" foot diameter with 5- 9in x 20in shooting slide rope windows. 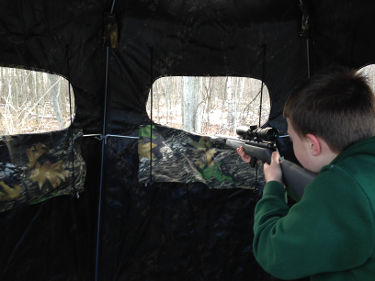 Window height, Bottom shooting window height 39 inches or 40 inches your choice. 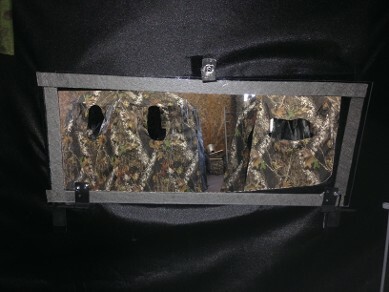 $289.99 per Blind. 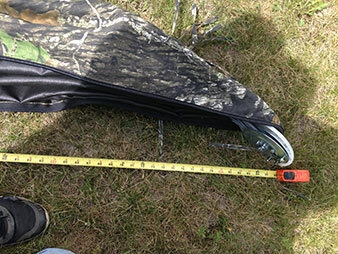 (7ft Diameter) Comes with gun rest and stakes. 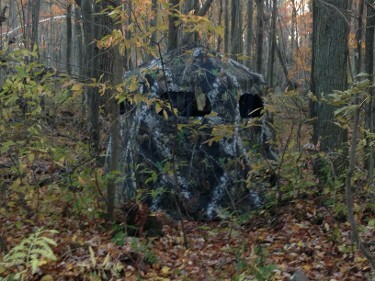 Why buy a box Blind when you can buy a 20 pound Blind with Plexiglas Windows that silently drop down. You can move it anywhere at any time and still have the comfort of a box Blind. 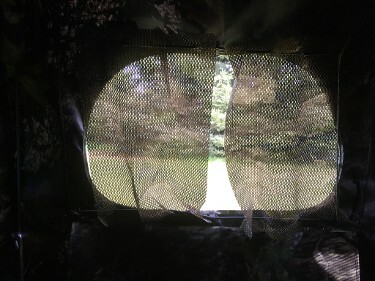 This blind is not a 1 or 2 season Blind. I've been manufacturing Blinds for 28 years and many are still in use today. When hunting out of it, I have had elk 10 yards downwind and they paid no attention. I believe it controls human odor better than any spray or scentlok clothes. You will not be disappointed. 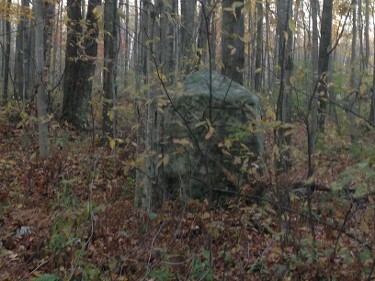 Stands 6' tall, 6' diameter with 5 10"x20" shooting windows. 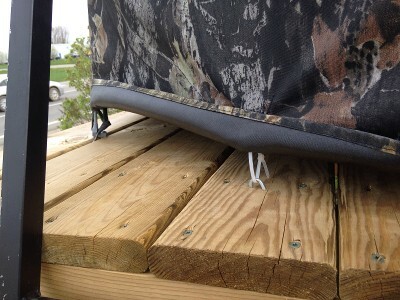 Comes with tie-downs on the bottom of blind to secure to the platform. Gun rest and bow hanger included. $349.99 or $399.99 with screens. 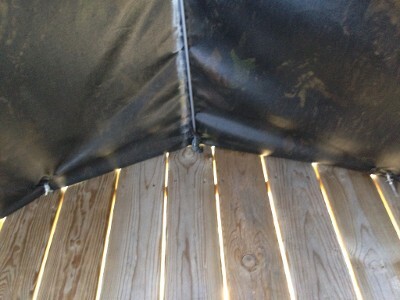 We also make a blind that will fit a 5' platform. 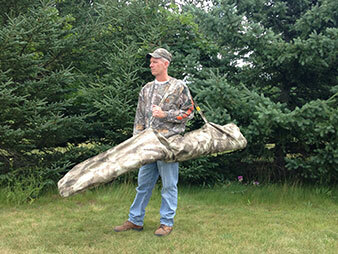 -Also Comes in Mossy Oak Camo for $44.99 To get correct carry bag, provide an overall length of hunting blind. 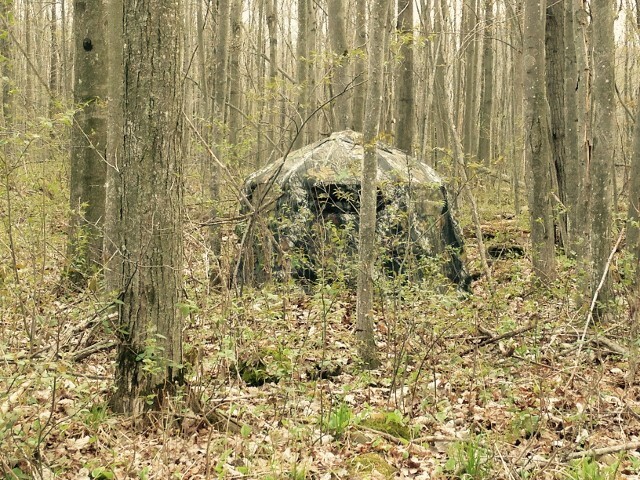 Shop for well-made ground blinds and tree blinds in Ubly, Michigan. 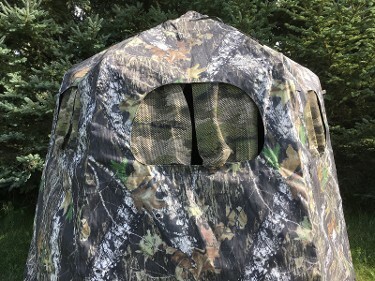 Lucky's Hunting Blinds has a selection of covering device for deer and turkey hunters. We offer shipping and handling starting at $30 per blind. 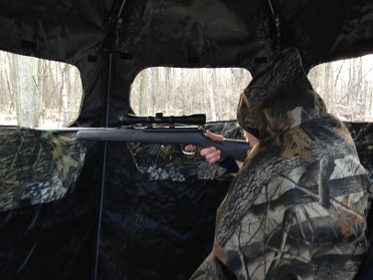 When closing the blind, just follow the same procedures in reverse order. Prevent any damage by keeping the zipper open all the way when closing. To guarantee durability, our blinds are built with 1/4" steel frames that withstand heavy snow loads. The blinds are made of Tuff 600 denier urethane-coated, poly oxford construction materials as well as shadowguard fabric that render them weatherproof. 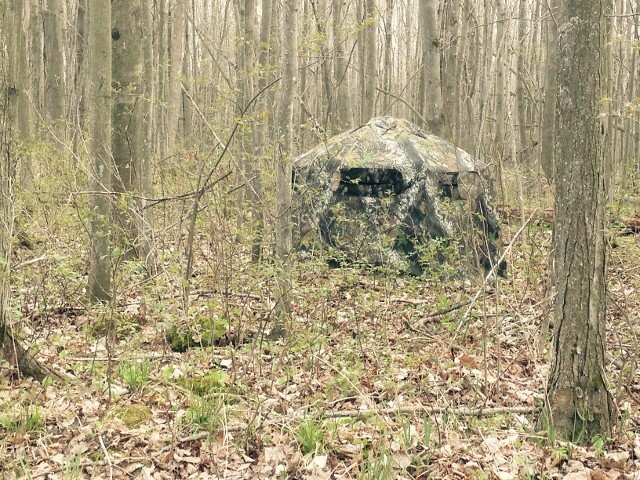 Contact us in Ubly, Michigan, to purchase our windproof ground and tree blinds.